QR Codes in Education is a presentation that was made at the CSSE Congress 2013 conference at U-Vic. It reflects the work done by a group of teachers in the Comox Valley on Vancouver Island. This group has been looking at new ways to communicate academic and socio-emotional progress to family members. QR codes, or quick link codes, provide a shortcut to web-based examples. 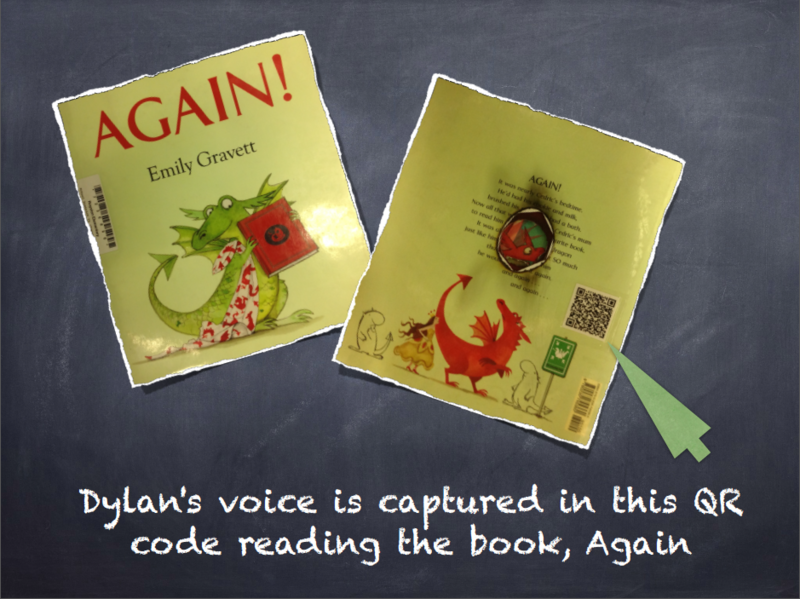 QR Code Fluency lesson The information in this link will provide step by step instructions to use QR codes as a means to increase fluency levels and capture audio files of students reading picture books. The QR codes are placed on the back of these library books. When these books are checked out of the library, the code may be scanned and the voice of a child reading this book will be heard! This lesson is infused with assessment for learning strategies. Kara Dawson, Lynn Swift, Debbie Nelson and I were always impressed by the levels of engagement we saw in students as we shared this work across the Comox Valley. QR Code Peer and Self Assessment In this video, Simon and Kaden have a conversation about what’s working and what’s next as they practice reading their book for this QR Code project.